Silence may indeed be golden but the styling of the celebrities on the red carpet at this year's 71st Golden Globe Awards was anything but subdued. Sunday's event saw vivacious reds, iridescent champagne and creams through to more bold blacks and floral patterns with the occasional block of vibrant colour. The fashion stylists came out all guns blazing to capture the eye (and camera flash bulbs) of the paparazzi with their outfit selections for some of Hollywood's hottest stars right now. We take a look at what outfits set up the fireworks, lit the fuse and blew the silence away! 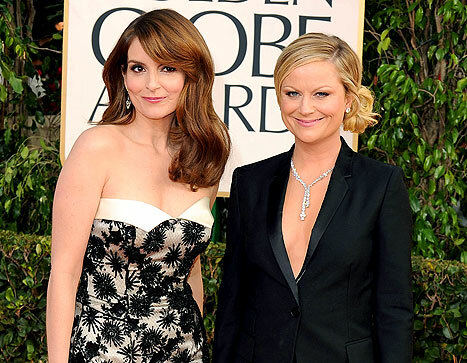 Fashion stylists Karla Welch (Amy Poehler) and Cristina Ehrlich (Tina Fey) styled the two hosting comediennes in designers such as Carolina Herrera, Stella McCartney and Ted Baker. A look at how burlesque has helped inspired fashion and how prominent celebrities have helped in bringing this form of theatrical parody to the forefront of society’s attention.